Paul Sancya/APAlan Mulally is joining Google's board of directors. There were plenty of winners and losers this week in the business world, as a software giant announced 18,000 layoffs and a social networking speedster made a shrewd acquisition that should help its site become more viral. Here's a rundown of the week's best and worst. For many LinkedIn registered users, the career-oriented social networking site is one that they turn to only if they're looking for work or endorsing a friend who's looking. Requests for approving new connections are as far as many go in immersing themselves in the LinkedIn experience. That could all change after LinkedIn acquired Newsle this week. Newsle takes contacts from a user's Facebook and Twitter pages and scans the Internet for news alerts. It's easy to see how Newsle can make LinkedIn stickier, offering up notifications that could be valuable the next time the two connected LinkedIn users meet. This is a great example of a dot-com firm acquiring a small company that should easily grow in relevance under new ownership. The pink slips are raining hard at the world's largest software company. Microsoft will be cutting 18,000 employees in the coming months. Layoffs were expected after Microsoft acquired Nokia's (NOK) handset business, but that only explains a little more than two-thirds of the cuts. Microsoft will be recording pre-tax charges between $1.1 billion and $1.6 billion for the restructuring, but there isn't a clear picture on what the resulting savings will be. Morale is hard to sustain at a company when thousands of people are being let go. We don't have to stray from Microsoft to segue into this next item. Last year it seemed as if the top candidate to be Microsoft's new CEO was outgoing Ford (F) CEO Alan Mulally. It didn't work out. Microsoft went for an internal hire. 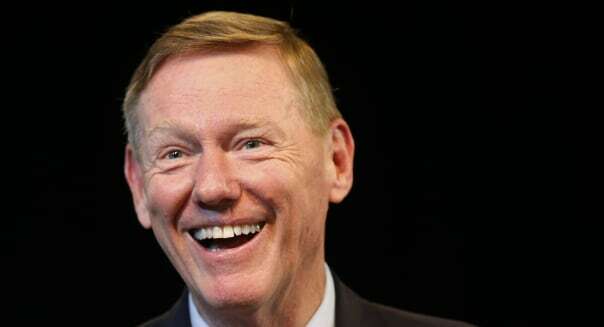 Well, this week Google announced that Mulally is being tapped for its board of directors. Yes, the one guy that the market figured would be the best to lead Microsoft out of its slump is now helping out the search giant that has become Microsoft's biggest nemesis. Nice catch, Big G.
Shares of SanDisk tumbled 14 percent on Thursday after following up better than expected quarterly results with soft guidance for the current quarter. Flash memory prices are falling, but it's making it up in volume. SanDisk saw unit volume soar 51 percent, more than offsetting a 26 percent drop in prices. However, its forecast of $1.68 billion to $1.73 billion in sales for the new quarter -- below Wall Street's forecast of $1.74 billion -- suggests that it won't be able to sell enough lower-priced data storage solutions to satisfy the market. Share buybacks are a smart move, especially for a company with 6 billion shares outstanding. Sirius XM Radio has a problem when its profitability has to be divided by so many shares to arrive at its per-share profitability. %VIRTUAL-article-sponsoredlinks%Well, the satellite radio monopoly is doing what it can to make its own luck. It announced this week that its board has authorized $2 billion in repurchases. This is the third time over the past two years that Sirius XM has paved the way for $2 billion in stock buybacks. As of late April it had already repurchased $2.3 billion of what is now $6 billion in authorized repurchases. As long as Sirius XM can do this without leveraging itself too perilously, it's the right thing to do. Motley Fool contributor Rick Munarriz owns shares of Ford. The Motley Fool recommends Ford, Google (C shares), and LinkedIn. The Motley Fool owns shares of Ford, Google (C shares), LinkedIn, Microsoft, and Sirius XM Radio. Try any of our newsletter services free for 30 days.